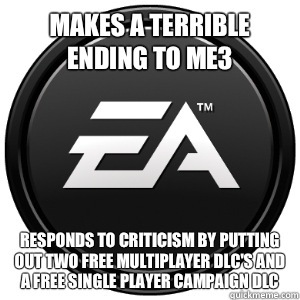 So I heard you hate me. 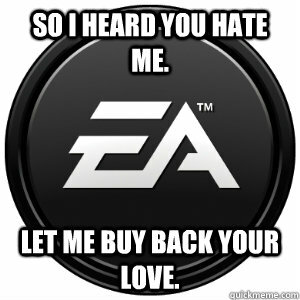 Let me buy back your love. 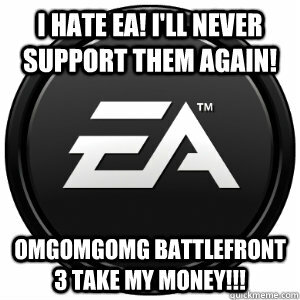 DOES ANYONE ELSE HATE EA OMG NEW BATTLEFRONT!!! 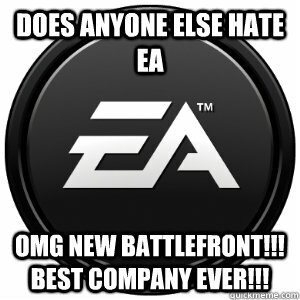 BEST COMPANY EVER!!! 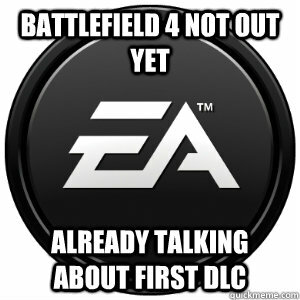 Oh you're excited for battlefront and want to see more? 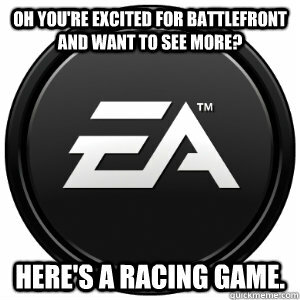 Here's a racing game. 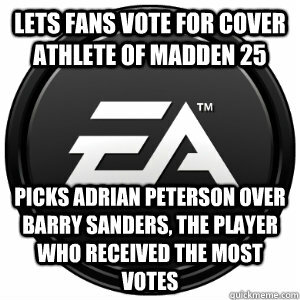 I HATE EA! 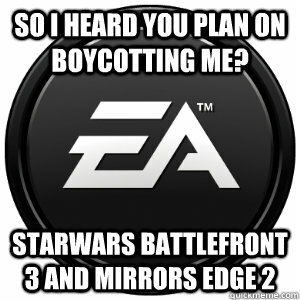 I'LL NEVER SUPPORT THEM AGAIN! 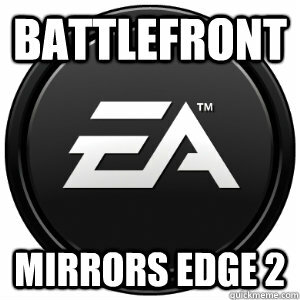 OMGOMGOMG BATTLEFRONT 3 TAKE MY MONEY!!! 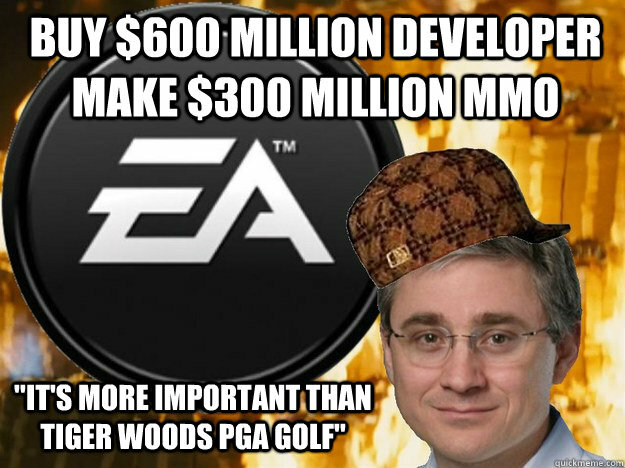 Buy $600 million developer make $300 million MMO "it's more important than Tiger Woods PGA Golf"